A new hyper-SUV with a uniquely Australian twist will be unveiled at the Geneva Motor Show, with GFG Style teasing its new Kangaroo Concept ahead of its official unveiling. 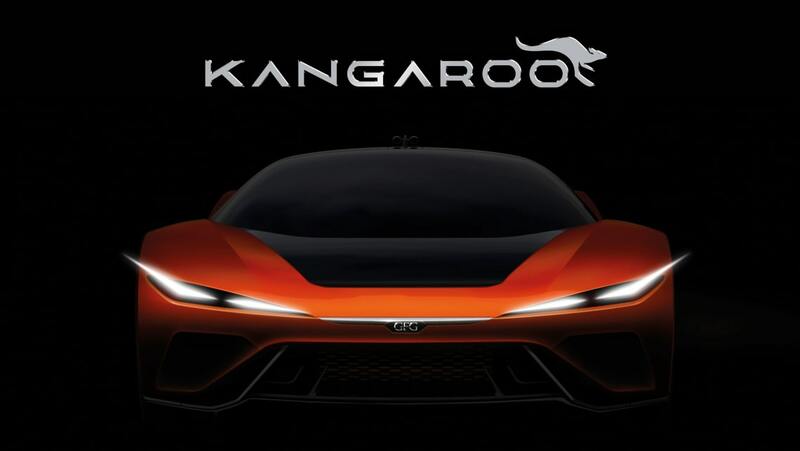 The Kangaroo - and its teaser image - is largely shrouded in mystery at the moment, but the specs we do know are pretty damn impressive. The brand it promising it's full-EV SUV will be a two-seater with four-wheel drive and four-wheel steering, and that it will be capable of clipping 100km/h in 3.5 seconds before pushing on to a top speed of 250km/h. That's quick; but better still, the brand reckons its Kangaroo will clip those numbers on any terrain, be it on- or off-road - which might go someway to explaining the mysterious Kangaroo naming philosophy. There's no actual link with Australia - aside from the name, of course. Instead, the vehicle is the brainchild of well-known Italian designer Fabrizio Giugiaro. What's more, GFG Style is says the concept will be more than an stationary design study, promising the Kangaroo will be able to be driven away from the show. The brand says its electric platform has been developed with Beijing-based design firm CH Auto, and consists of carbon-fibre body work and an aluminium space frame chassis. "Currently we are only revealing the 'eyes' of this extraordinary concept that, as in our tradition, will be completely unveiled in Geneva and drivable after the show on any terrain," Giugiaro says. Would you hop into this Kangaroo? Tell us in the comments below.